Today’s post is going to be short and sweet. Venue managers and owners who are looking for a new way to capture revenue and foot traffic should be very well interested in the prospect of learning what Fish Game Kings has to offer. 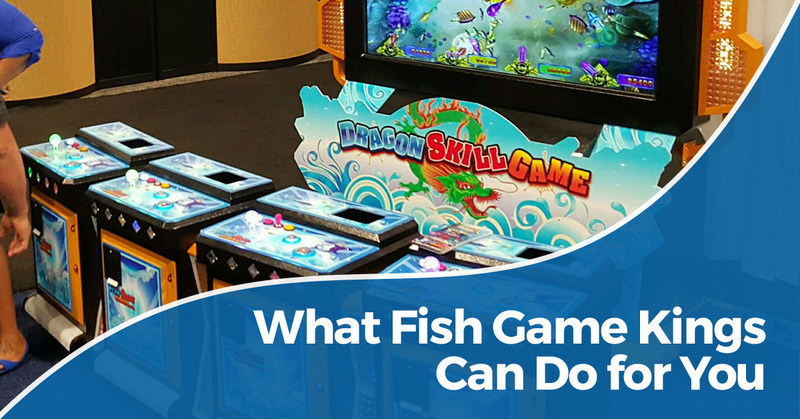 Some of our readers are already aware of what fish game cabinets can do for a business. Indeed, that’s likely why you made your way to this page in the first place! Though it goes by many names (among them being “fish shooter games,” “fish shooting games,” “fish arcade games,” or even simply, “the fish game,” people who are looking for these fish game cabinets generally fall into one of two camps: competitive players who love the stimulating gameplay, or venue owners who are big fans of increased foot traffic and revenue. 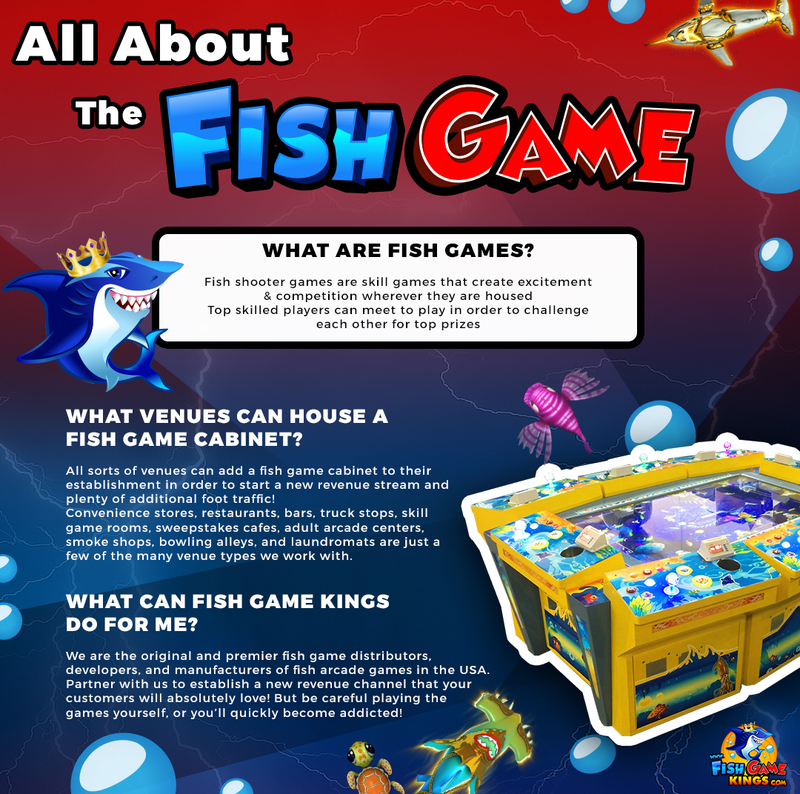 In today’s post, we are going to explain what Fish Game Kings can do for venue owners — potentially such as yourself — so read on if you are interested in learning more about the original and premier fish game manufacturers in the United States! Quite simply, fish shooting games are the newest and hottest arcade game on the market. Originally popular in many parts of Asia, fish shooter games are such that players can compete against one another in a skill-based, competitive setting, in order to earn rewards. As the excitement builds, so too does the monetary intake of an establishment, not to mention the fun being had by all who are playing and witnessing! What Venues Can House A Fish Game Cabinet? These fish game cabinets are doing absolutely huge numbers all over the country (and in many parts of the world, for that matter). The beauty of it is that you can harness that interest at your own establishment. How are we so sure? There aren’t too many venues out there that fail to qualify as a candidate for housing a fish shooter game. To name a few establishment types that have had legitimate success, skill-game rooms, sweepstakes cafes, convenience stores, bars, restaurants, grocery stores, smoke shops, bowling alleys, truck stops, laundromats, Chuck E Cheese, Frankie’s Fun Parks, and Dave & Busters all have experienced the benefits of including a fish skill game among their offerings. Why not you? Fish Game Kings is the original and premier fish game distributor, manufacturer, designer, and developer here in the USA. We offer cabinets, games, accessories, and world-class customer support. Not to mention, our equipment is plain-old superior. Contact us today to get started!